Often considered an authority on the usage of Holy Spirit in the New Testament. 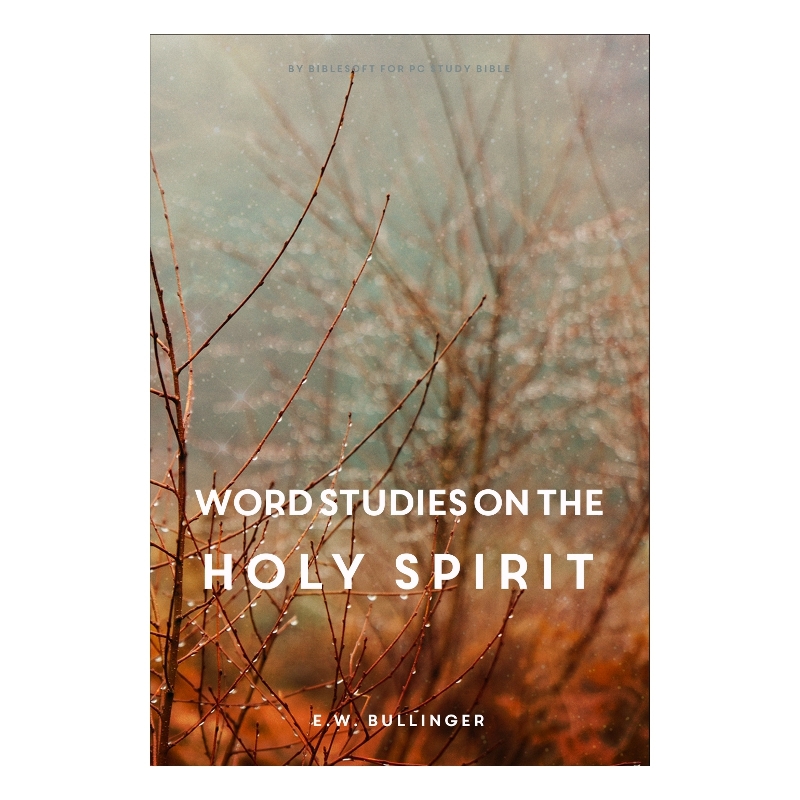 As a language scholar, Bullinger provides an exposition of every verse in the New Testament pertaining to the Holy Spirit as well as an in-depth look at original language usage. 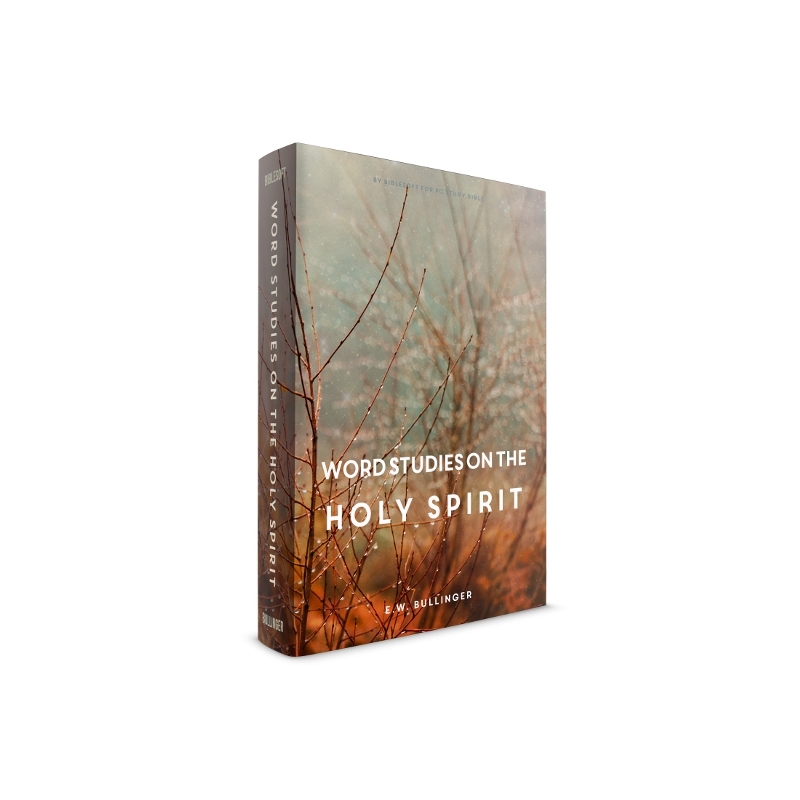 This is an intensive study on the use of the word "pneuma" ("spirit") in the New Testament, with special attention to discerning where and when it refers to the Holy Spirit. 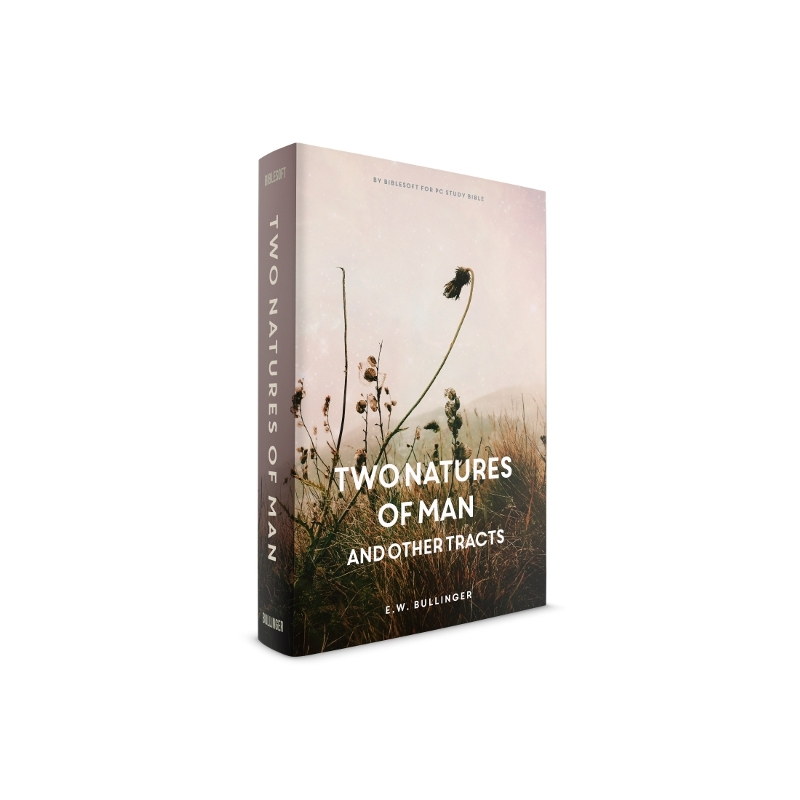 The largest section is a commentary on every verse where the word occurs, containing text-critical and other notes (which can be accessed by BCV under "Additional Commentary Material"). The Greek is preserved throughout, but in transliteration. 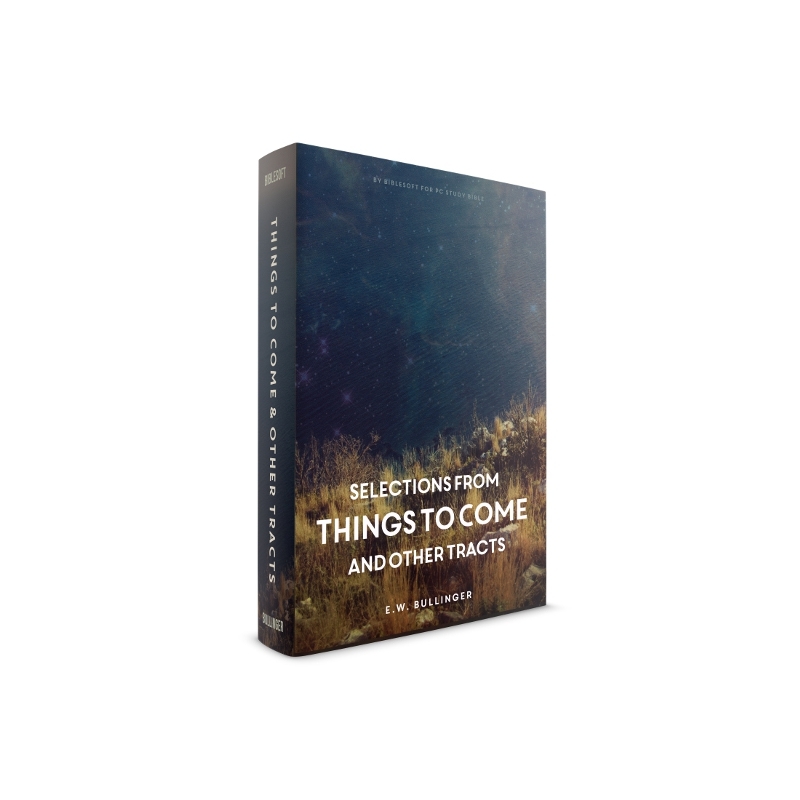 These are selections from the prophecy journal Things to Come. 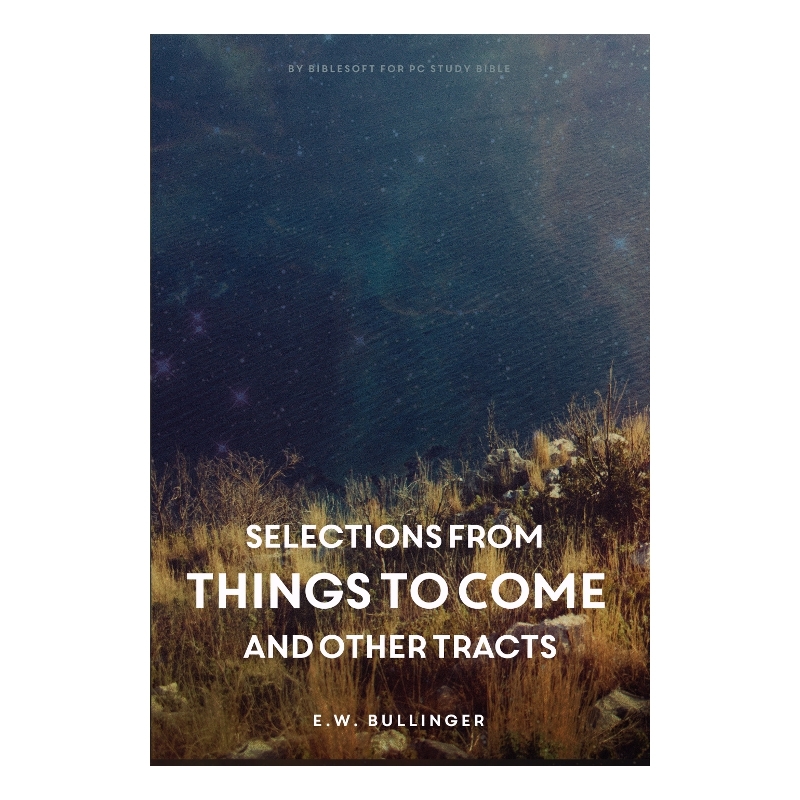 To which, Bullinger was the principal contributor. 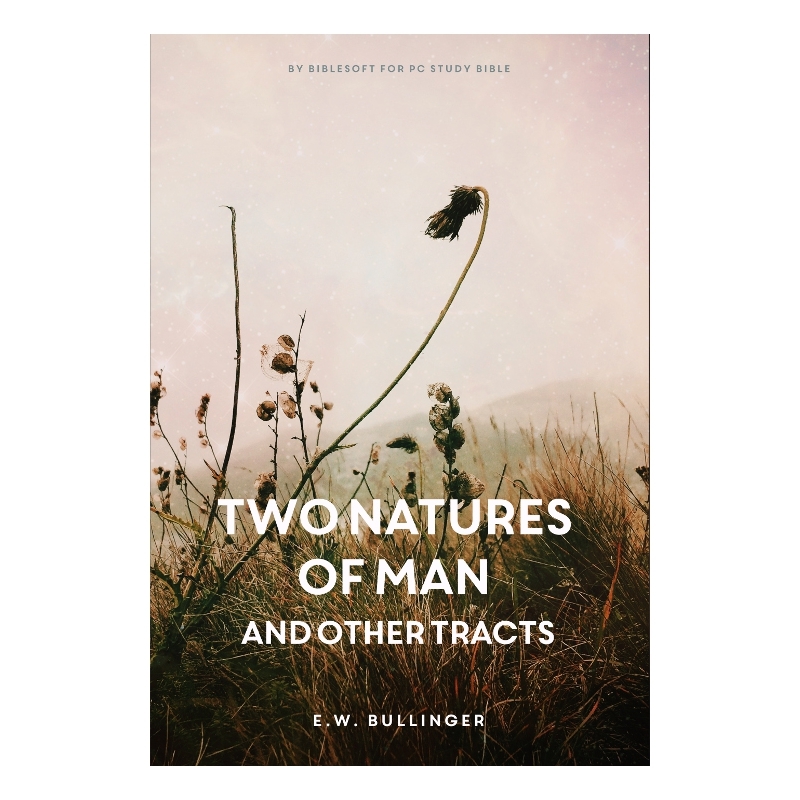 Many of his published writings and tracts are the result of articles in the journal. Representative selections are from 1895-6 (a series of articles entitled "The Mystery"), and from the first few months of 1897-8. "Christ's Prophetic Teaching" and "The Lord's Day" -- the latter is a study of the phrase as it appears in the book of Revelation. 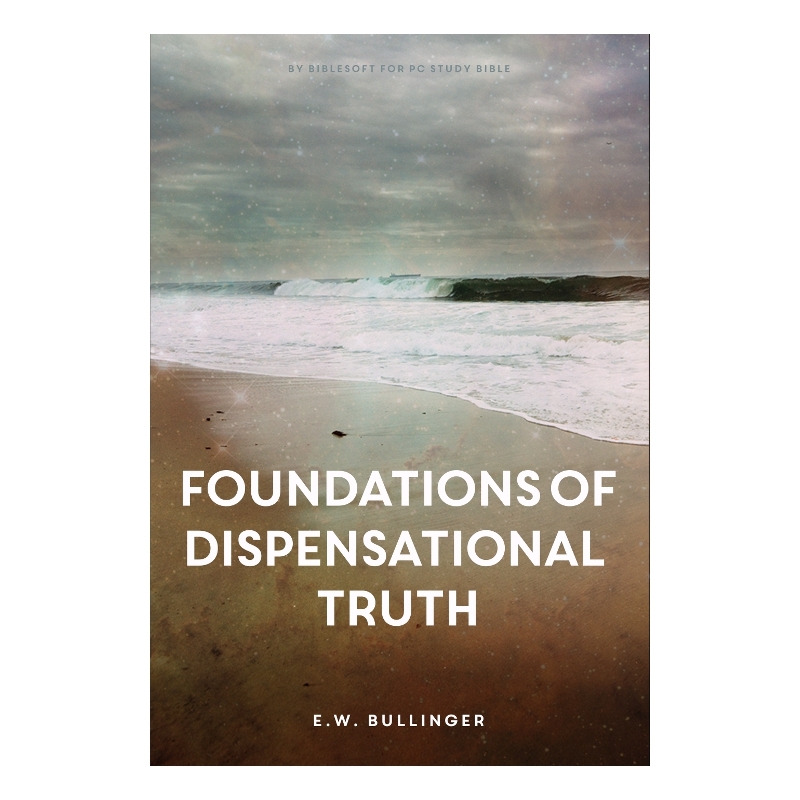 Sections can be accessed by BCV (for select passages) under "Additional Commentary Material"
This book serves as a good overview of Dispensationalism, and of Bullinger's own views, in particular. 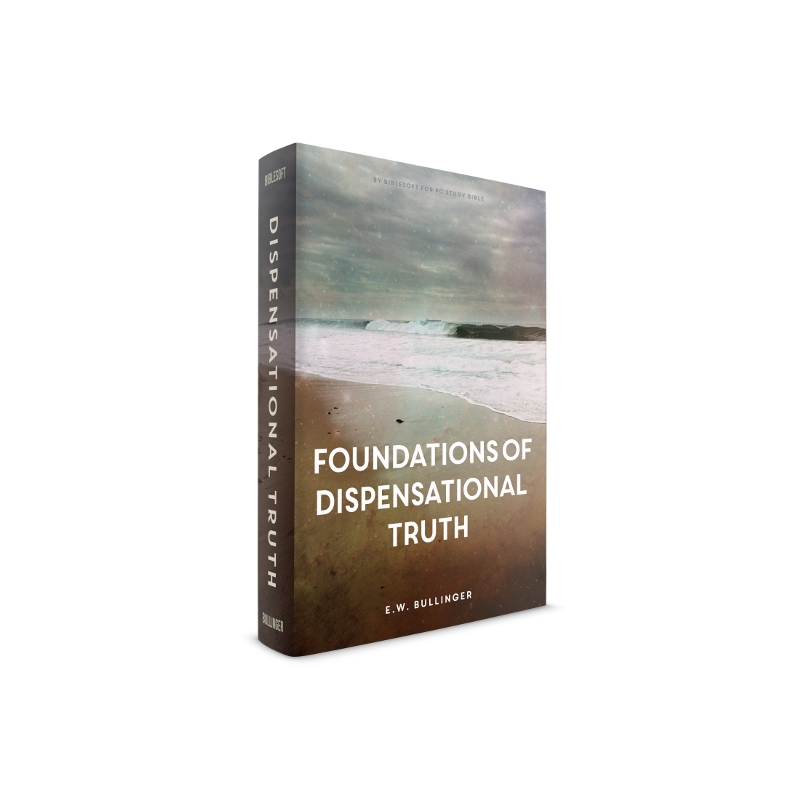 It begins with the opening verses of Hebrews, and examines the various times and manners in which "God has spoken". 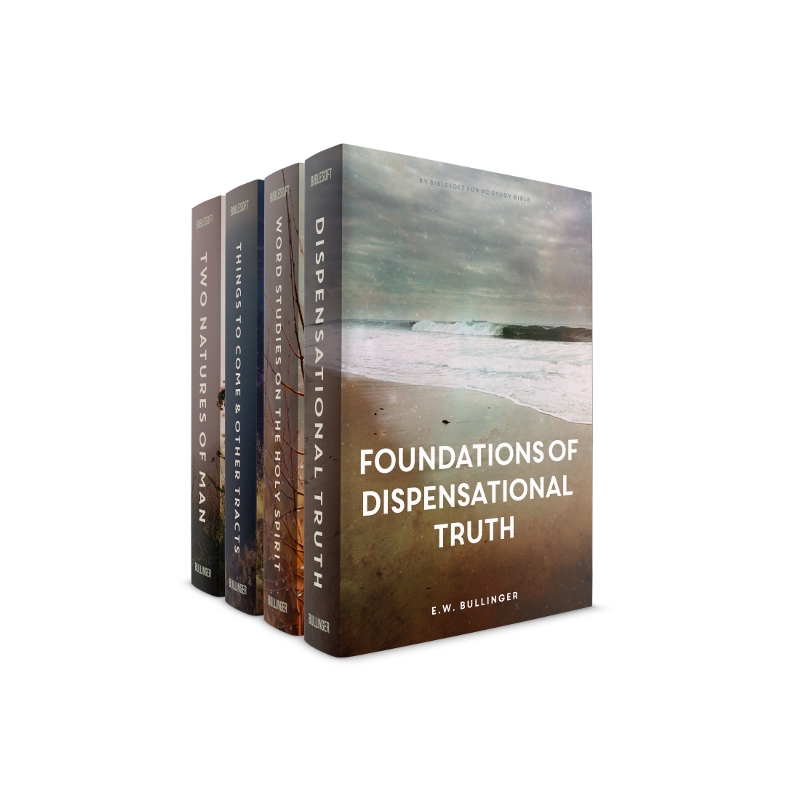 This evolves into a kind of New Testament survey (from a Dispensational perspective), including commentary (by BCV under "Additional Commentary Material") on key passages. 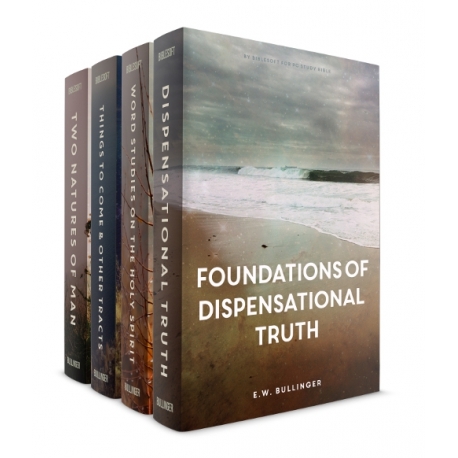 "The Christian's Standing, Object, and Hope"
"The Inscriptions on the Cross"
"Jehoshaphat: A Lesson For Our Times"
"A Refreshing Study on the Resurrection"
"The Resurrection of the Body"
"The Rights of the Lord Jesus"
"Stablished - Strengthened - Settled"
"They Sang His Praise; They Soon Forgat His Works"
"The Use of the Divine Titles"
Most of these can be accessed by BCV under "Additional Commentary Material"